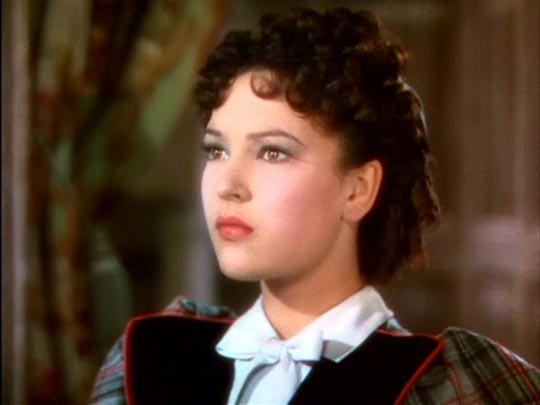 Time was – longer ago than I care to contemplate – I would have devoured a movie like Zoltan Korda’s The Four Feathers (1939) as nothing more than a thrilling adventure that appealed to a boy’s imagination. Watching it now in Criterion’s lush new edition, I found various parts of myself in conflict for the entire duration of the film. 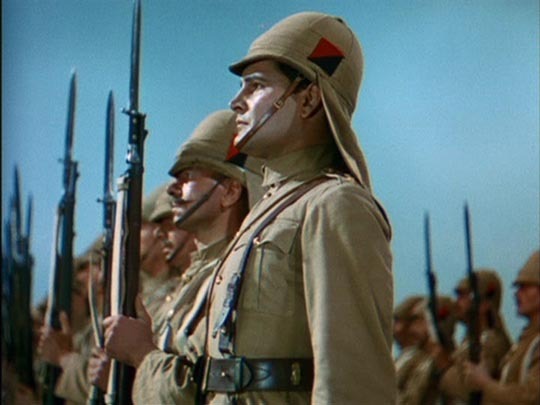 Yes, it’s an amazing spectacle, the vast landscapes of the Sudanese desert across which armies of thousands clash, the sight of massed white-sailed boats drifting up the broad Nile, the huge opulent sets (by Vincent Korda) occupied by the privileged characters in England … The Four Feathers is a genuine epic, shot in three-strip Technicolor, from the last days before England was plunged into the Second World War. But watching it now, you’re aware that it comes not just from another age, but also from another conceptual world. Produced by the intensely Anglophile Hungarian emigre Alexander Korda, the film is perhaps the final ode to Empire. With all that has happened in the seventy-odd years since it was released, a viewer with any sense of historical perspective may have trouble digesting much of the underlying belief system. But what makes it fascinating is the ways in which the film itself reveals cracks opening up within that system. Here, the commentary by Charles Drazin is helpful; he explains the differences in outlook between the producer, Alexander, and the director, younger brother Zoltan. Alexander fully embraced England and all that it stood for, recreating himself as one of the aristocracy, while Zoltan was more inclined to subscribe to the point of view of the “others” who were subjected to British imperial rule. So, while making an epic that stood for the righteousness of Empire at a time when war appeared to be inevitable, Zoltan managed to weave critical notes throughout the fabric of the film. While in the end The Four Feathers remains a spectacular paean to English courage and the right of Empire, and in particular the value of military power, along the way it plants small seeds of doubt which now, so many years later, tend to infuse the film with an almost sour undertaste which compromises the surface thrills of the narrative. In a prologue, news comes to England of the death of General Gordon in Khartoum in 1885, an affront to Empire as the Sudan was taken by an Islamic revolt against British and Egyptian rule. At this moment of British defeat, a group of old soldiers gather at the home of General Faversham to commemorate their service in the Crimea. 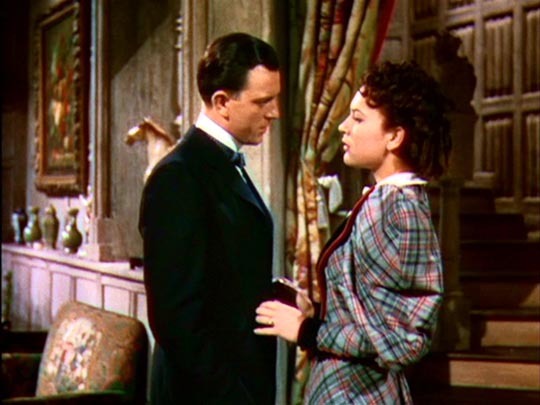 The General uses the occasion to pressure his fifteen-year-old son Harry, whom he suspects is a coward (the boy is sensitive and reads poetry). The atmosphere is stifling as the old officers share with relish stories of horrific death. Young Harry is obviously scarred by his father’s contempt and eventually becomes an officer only because of the pressure placed on him. Ten years later, having just become engaged to the daughter of another general, Ethne Burroughs, and his father recently dead, Harry finally acts on his own principles and resigns his commission just before his regiment is shipped out for a renewed campaign to retake the Sudan. His reasons are thoughtful and obviously rooted in conviction: he abhors the patriotic mania which sees war as a great adventure, and wants to devote himself to the ancestral lands, and the tenants who live on them, which his father neglected for decades as he pursued his military career. But to his friends – Ethne’s brother Peter, Lieutenant Willoughby, and Captain John Durrance, his rival for Ethne’s affections – his actions appear to be nothing but cowardice. They each send him a white feather to show their contempt, and when he tells Ethne of his decision, although she agrees with his point of view, she recoils from him because one’s duty to tradition must, she believes, always come before personal motive. Seeing that he has lost her, he tears a white feather from her fan and takes it as her own sign of his cowardice. Strangely, up to this point, everything in the film seems to side with Harry. The dinner party with the old veterans is appalling, their glee in bloody death something like madness. The idea that lives should be sacrificed to “avenge” the death of Gordon and to reassert British authority over the deserts of the Sudan seems to have nothing to do with the requirements of a responsible life in England. And yet, for the story (adapted from a jingoistic 1902 novel by A.E.W. Mason) to continue, somehow Harry has to be manoeuvred out of England and into North Africa. When, after watching a column of troops cheered through the streets, he runs into Dr Sutton, an old family friend, he tells the old man about his decision, about the feathers … and declares that indeed he is a coward, or at least fears that he is one, and that his decision was actually rooted in bad faith. From our perspective, we’re unlikely to take this confession at face value because there is more psychological validity in his choice not to go than in this change of mind. His convictions seemed too strong to be swayed by the disdain of his friends and the disappointment of his fiance; for him now to set aside his inner convictions because of a need to conform to others’ view of him merely weakens the character. But the story requires that he go, so go he must. 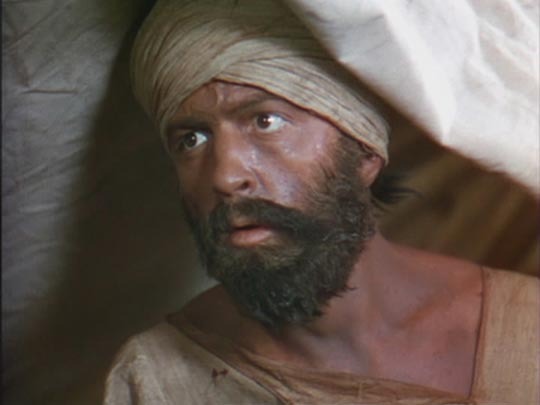 With his arrival in Egypt and his disguise as a mute native, the film enters full-on boy’s own adventure territory. There are strenuous treks across the desert, pitched battles between orderly British troops and massed Arab cavalry on camels. But Korda continues to insert critical notes. 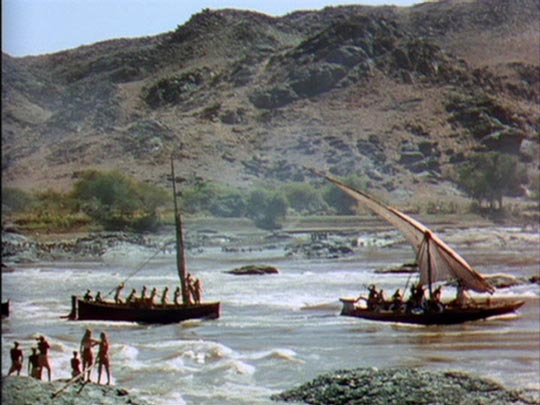 Hundreds of natives are used to pull the British boats upstream through rapids, overseers lashing them with whips in majestic images with the sweep of the Nile and the gleaming boats in the background, the straining exhausted natives dragging themselves over the rocks in the foreground. 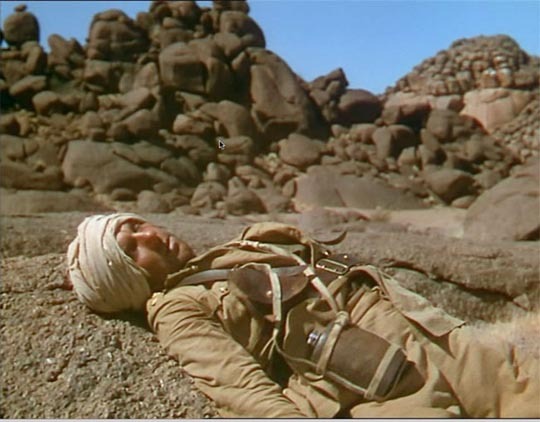 Captain Durrance, out on patrol, succumbs to sunstroke and is blinded; his company is devastated by a “Dervish” attack, Burroughs and Willoughby taken prisoner and dragged away behind camels. Harry finds Durrance among the dead, raving and delusional, and carries him across the desert back to British lines. His reward for saving his old friend’s life is to be accused of trying to rob him and he’s sent off to a prison unit to do hard labour. After escaping, he finally makes his way to Omdurman, where Burroughs and Willoughby are being held in a filthy, overcrowded prison. Harry manages to lead a revolt just as the British forces launch their attack and Sudan is once more secured for the Empire. The Four Feathers is unquestionably a call for the English to stand up and fight for what’s “ours”, released at a time when a very large threat was looming from Europe. And yet, it treats its loyal officers quite harshly – Durrance blinded, Burroughs and Willoughby imprisoned and humiliated – while the hero acts not from a sense of “God and Country”, but rather from a personal imperative to prove to those who judged him that his actions were not rooted in cowardice after all. And he’s even given a final moment in which he deftly deflates old General Burroughs’ pompous war reminiscence and exposes a cherished moment of heroism as a matter of chance and accident. No doubt at the time of release, much of this critical element in the film would have passed unnoticed in an average audience which would be more likely to respond to the imperial heroics of the story. But seen now, these elements seem to rise up and shake the foundations of the story, making it hard to simply sit back and enjoy the adventure. On a purely filmmaking level, though, Korda’s work is very impressive, the design and cinematography giving it an epic scale which prefigures David Lean’s Lawrence of Arabia, made 23 years later. 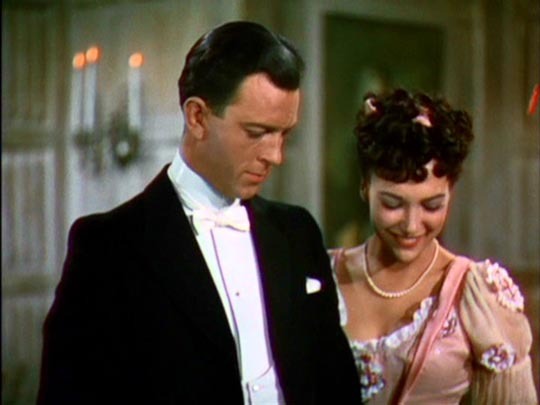 Much of the film was shot on North African locations with the actual cast present to add authenticity. And the cast is excellent, with John Clements effective in the difficult role of Harry (his lengthy period in disguise is objectively unconvincing, but he gives it enough conviction to make it work). 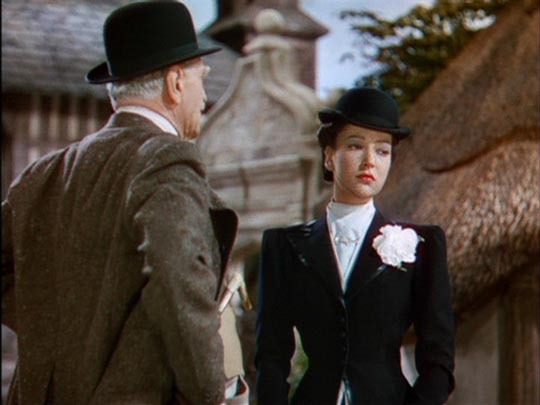 C. Aubrey Smith relishes his role as the blustery General Burroughs and June Duprez is charming and intelligent as Ethne. 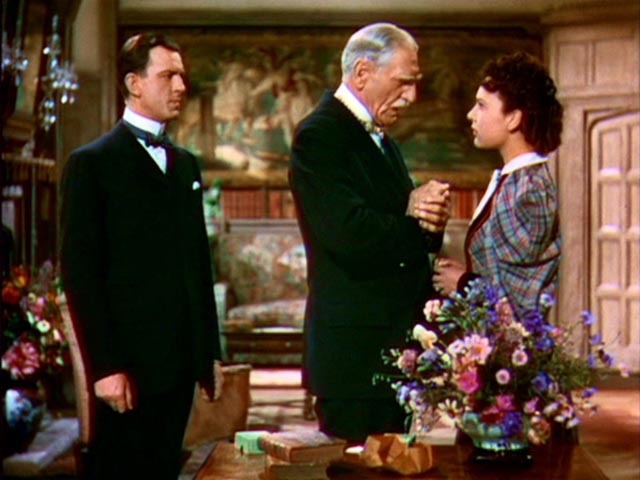 But the real stand-out is Ralph Richardson as Captain Durrance, at times a little theatrical perhaps, but remarkably subtle and moving in several key scenes. This entry was posted in Review and tagged Adventure Films, British Film, Criterion, Directors. Bookmark the permalink. I very much enjoyed the scope of this review.